This week on the beautiful island of Corfu, in one of the most impressive dance spaces of the world, we will explore through the dance what it means to be „human“. We practice together becoming visible in our uniqueness and creativity. We realize that we carry an abundance of gifts within us. We listen within to find out which of these are ready to be given away. Our dance space is the „Buddha Hall“, a beautiful studio with wooden floor and stunning vista over the mountains of the island. It is located just a few minutes from the beach village Arillas, where we stay together in the small and comfortable hotel „Bardis“. The hotel is located almost directly the beach and it is reserved exclusively for us. It also has a small pool. This week is open to everybody, whether you are an experienced Soul Motion dancer or completely new to this dance meditation practice. 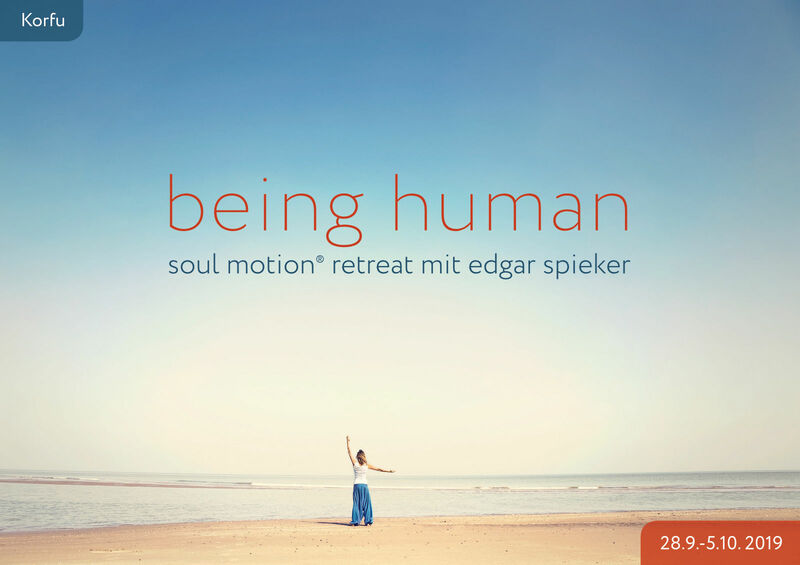 Soul Motion Sessions: Sunday-Friday 10.00-12.00 h and 20.00-21.30 h. The afternoons are free. Wednesday is reserved as a day off for optional excursions. That day we will only meet in the evening for a dinner and a Soul Motion session from 20-22h. For registration, travel booking and also individual arrival and departure dates, please contact Annett Schmidt (see below). Fee: 320 €. Costs for accommodation and some meals (see below): 458 EUR Included in the fee for accommodation are 7 nights in double rooms. There are also a few single bedrooms available (surcharge 76 EUR). Meals included: 7 breakfasts, 5 lunches and 2 dinners. There are several taverns available that offer delicious and inexpensive meals for the rest of the days. Included is also the shuttle bus between the hotel and the dance space (10 Min.). Not included are costs for the flight to Corfu and transfer from the airport to the village (available for 25 EUR).